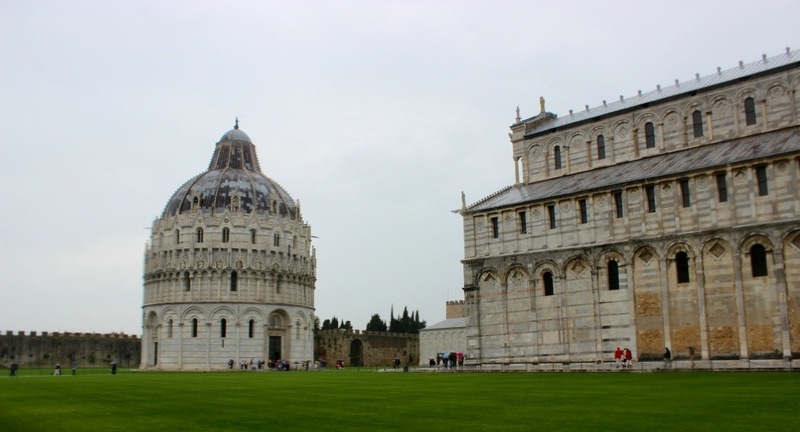 On August 9, 1173, construction began on the Tower of Pisa which was originally designed as a bell tower. 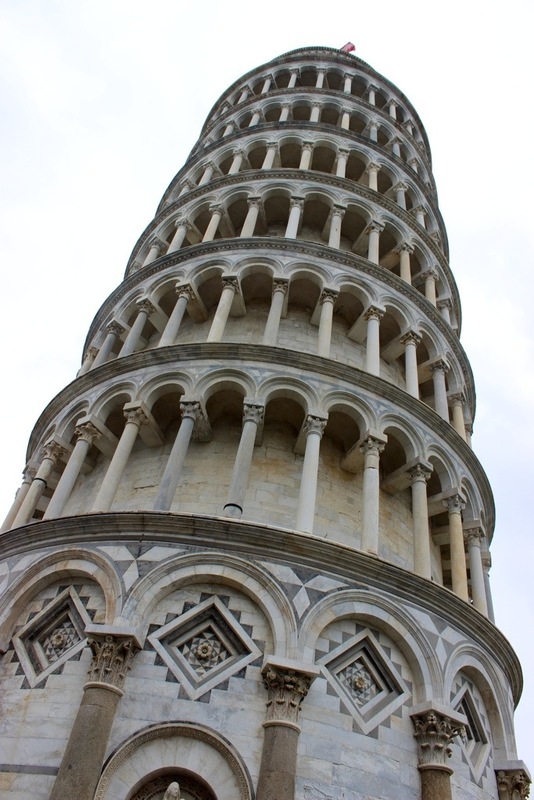 The partial building stood upright for over 5 years, but just after the third floor was completed in 1178, the tower began to lean slightly.Dug only three meters into the ground, the foundation was built on a dense clay mixture which proved to be too weak to hold the tower upright. Construction went on hold for a hundred years. The government was focusing on a brutal war with Genoa and people were hoping the soil would settle and strengthen over time. 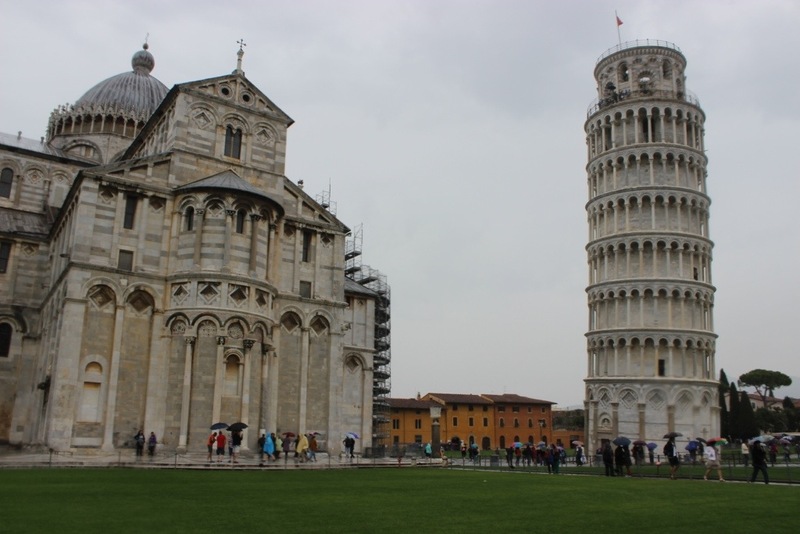 After the 100 year break, Giovanni di Simone added on four more floors to the tower in 1272 causing it to lean even more. Years went by and wars came and went. During WWII, American troops were ordered to destroy any and all buildings in the surrounding areas to avoid sniper attacks. A retreat (just in time) saved the national monument from destruction! 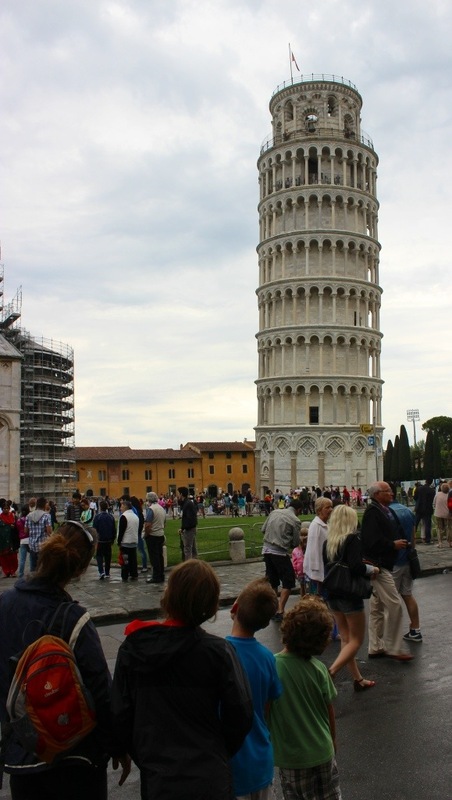 In 1964, a counterweight of 800 tons was installed and in 1990, the bells were removed and the structure was anchored. 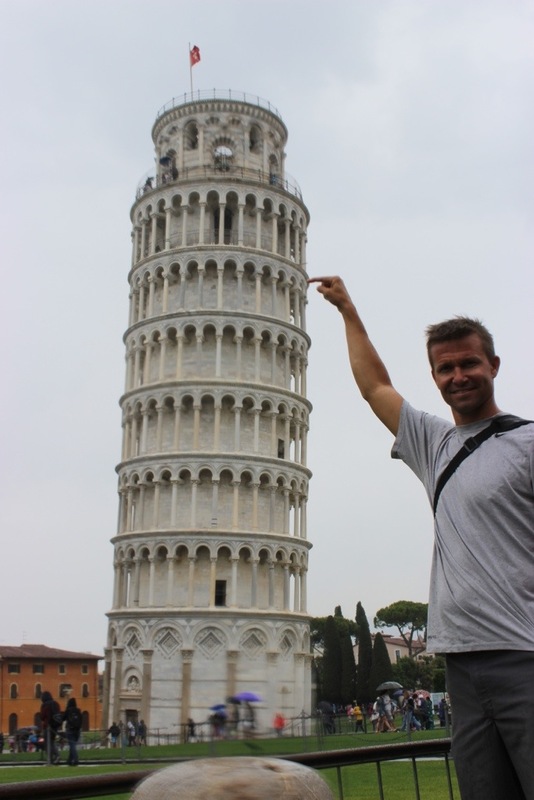 In 2001, the Leaning Tower of Pisa was open for tourists. We did not get to go up in it because Lennon wasn’t allowed because of a stupid age restriction. Boooo! – so we decided as a family that we leave no man left behind! hee. We’ll just have to go back in a few years to get to the top! 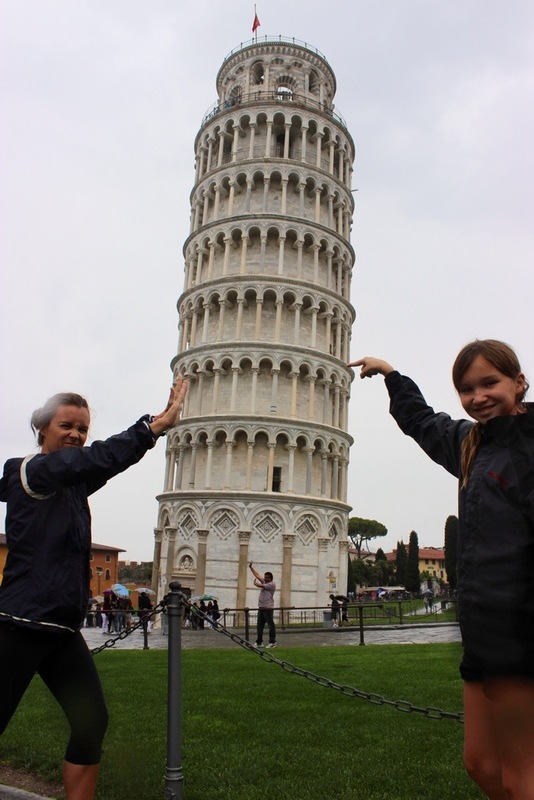 Jackie- the rain that day in Pisa was non-stop! 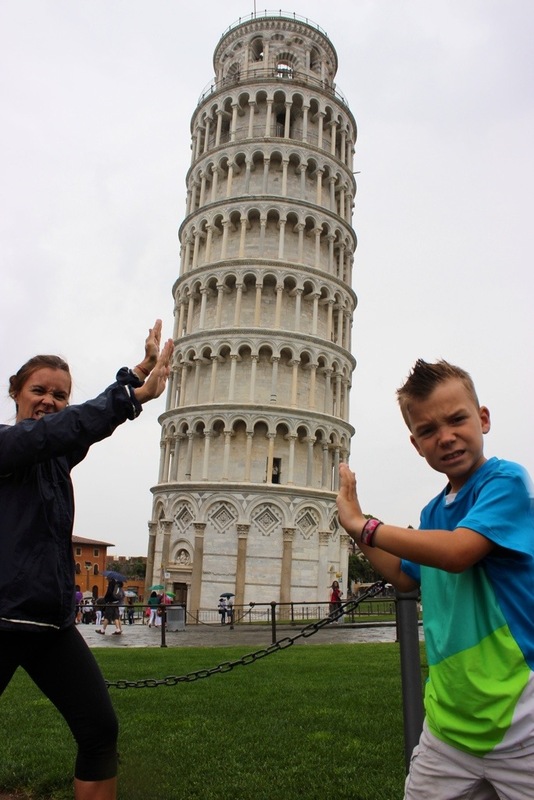 Emerson was so over taking those pictures, but we got some fun ones. In Paris now! Went to Versailles and the Eiffel Tower today! Love!